o those who have been following Fort Collins, Colorado-based Solix Biofuels, one of the major players in the short history of the algal biofuels industry, rumblings of change have been evident over the past several months, with new leadership, a new name—Solix BioSystems—new financing and a repositioning of the company. Leading the change is Joel Butler, who assumed the role of CEO this past December. The fact that Joel is a product development and commercialization specialist means there is no coincidence that Solix just released their first commercial product, the Lumian™ AGS4000. 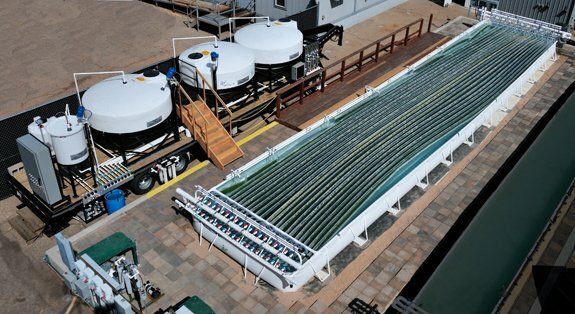 The AGS™ is Solix’s algae cultivation system that utilizes its proprietary, patent pending photobioreactors, or Lumian panels. Joel did his undergrad work in naval architecture and marine engineering. He launched his career building commercial and military ships and then worked on oil tankers for Exxon, as well as submarines and aircraft carriers for the Navy. But at the end of the Cold War there was a slowdown in ship construction, so Joel went back to graduate school at MIT and got Masters degrees in management science and transportation science. From there he headed out to Silicon Valley and, for the next decade, worked on the development and commercialization of advanced electronics products. Along the way he also cultivated his skills in setting up manufacturing and distribution supply chains for new product launches. During that time he developed a friendship with a Silicon Valley coworker who later went on to become CFO of Solix Biofuels. And when Solix was looking to add to their product commercialization and technology licensing expertise in December of 2008, Joel was recommended and he joined Solix as VP of R&D. He moved up to CTO before taking the CEO reigns in late 2010. We spoke with Joel recently to get a first hand explanation about the “new” Solix BioSystems. What is your vision for the kind of company you would like to see Solix BioSystems become? 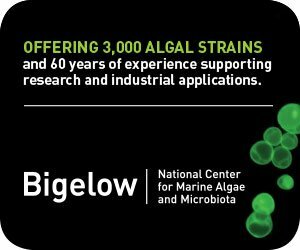 I’d like to see us become the leading provider of technology solutions to the global algae production industry. We really see ourselves as an enabling technology supplier as well as a service provider. When I look for business models for our company, I look to a company like Schlumberger being analogous in the petroleum industry. They are not an exploration or production company—they just provide lots of the oil field technology and services to enable oil companies to extract the oil. Another way of saying it is, we don’t want to be the algae farmer. 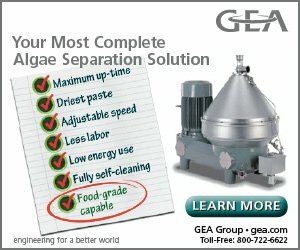 We want to enable the algae farmer to grow a successful crop. What are the differences in the company today, versus where it was earlier on? When we were originally founded we were focused on the technology to produce biofuels. We planned to be vertically integrated with operations facilities producing the end fuel product. As we matured and gained experience we recognized that there was a broad-scale need for production equipment and cultivation expertise. We felt like we had the engineering background and biology experience to provide that enabling technology. So we started moving away from being the all purpose owner-operator, and more towards becoming the solutions providers. What are the biggest steps you’ve taken to reposition the company since you’ve become involved? It’s publically most evident in the product launch of the Lumian AGS. The Company is now selling technology solutions to people who, viewed through a different lens, might have been considered competitors. We have refocused the Company so that other people growing algae are actually potential customers for our cultivation solutions. We’re currently bringing our Lumian AGS to market, as well as selling oil and biomass in order to seed the market. Essentially because we want to create the demand for the cultivation systems, we have been growing algae at our demonstration facility at Coyote Gulch, outside of Durango, Colorado, harvesting that biomass, and extracting the biocrude and selling the biocrude and residual biomass to oil companies, motor vehicle companies, agricultural businesses and government agencies interested in product development. Our demonstration plant has almost 180,000 liters of algae—Nannochloropsis salina—under cultivation. In the summer during the peak growing season we harvest each basin on a weekly basis. This works out to a harvest of between 25,000 to 30,000 liters of culture per day, six days per week. What kind of densities do you go for? And do you take it all the way to extraction at the Coyote Gulch facility? 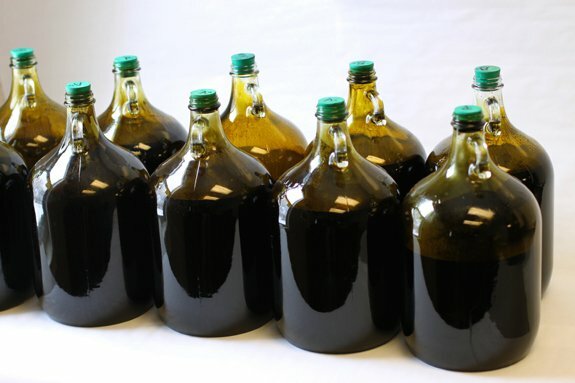 The densities at harvest are typically between 3 and 4 grams per liter (dry weight). We do not perform the oil extraction on site—we have a proprietary solvent extraction skid offsite that we use to extract the biocrude. 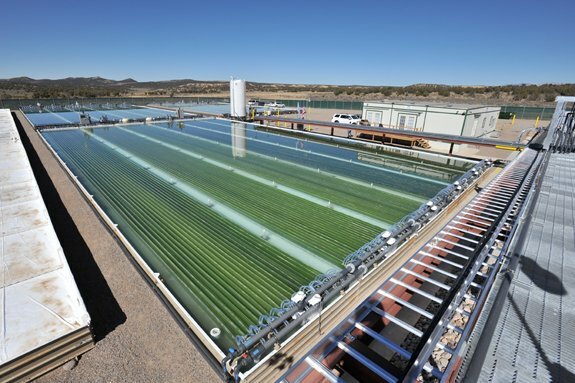 Solix’ Coyote Gulch Algae Cultivation Demonstration Plant in southwestern Colorado. What can you tell us about the new round of financing—how is it dedicated and what are the expectations? It was a Series B round led by our insiders and it’s really dedicated to two purposes: firstly, for ongoing R&D to advance the design of our photobioreactors. The Lumian AGS4000 and our demonstration plant use our fourth generation of photobioreactor panel design. At smaller scale, we are working on our fifth generation panel design. Secondly, the funding will support the production and the sales effort for the Lumian AGS4000. The $16 million represents the first close, but we are in ongoing discussions with other potential investors above and beyond that. The Lumian 4000 is Solix’ first commercial product. How did it come about? The Lumian AGS4000 is a 4000 liter algae cultivation system. We actually commissioned our first 4000 liter photobioreactor back in May of 2008. The original purpose of that system was to allow us to evaluate different species and different design geometries in advance of building our 50,000 liter algae cultivation systems, which we did in July of 2009. So initially, the 4000 liter AGS was for our in-house use. But as we were out participating in industry conferences and reading journal articles we noticed a couple of things. First of all, there was really very little growth data out there, and what there was tended to be for pretty short periods of time and on a pretty small scale. The numbers in these growth studies suggested yields below what we were generating in-house at the time. The second thing we heard was a recurring theme of culture crashes. We’ve been in continuous production since the May of ’08 with no culture crashes. So, between the yields we were getting and the sustainability of production that we were experiencing, a light bulb went off that there could be a market for this product above and beyond our internal use. So we pretty quickly put together a program last fall to create a commercial AGS for species characterization that supports high growth rates and generates clean cultures. After we started talking with potential customers, a secondary market became visible to us, which was using our system as a source of inoculum for larger scale production systems. In this era of consortia and collaboration to advance the algae industry, what role do you see Solix playing? 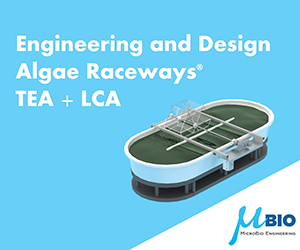 Our goal is to enable the algae industry to demonstrate the kind of yields possible from microcrops like algae by the widespread deployment of our Lumian AGS systems. In addition to our technology, we are supplying biomass and biocrude allowing for processing and product development by downstream players. We are thus hopefully enabling the industry as a whole to accelerate development. There are multiple problems to be solved and I don’t see any one company providing all of the solutions. I think it will be a portfolio of companies developing solutions that are ultimately going to enable the growth of the industry. What are the biggest obstacles the company is facing? The biggest obstacle for Solix is really the establishment of a viable vertical industry structure on an end-to-end basis—from the development of the advantaged species through cultivation, harvesting, extraction, productization, and distribution. We’re focused in on a couple of the key elements in this value chain. But we’re not capable of providing a complete end-to-end solution. We’re focused in on making our element of the value chain as strong and robust as possible and look to work with others motivated to provide the other pieces. What are the biggest obstacles you think the industry as a whole is facing? There needs to be ongoing collaboration to bring forth the industry. We don’t see this as a zero sum game, and we’re hoping other players don’t as well. We think that there are several key enabling solutions—species development, crop protection, resource efficiency, harvesting, product development—that need more robust technology options. So we think that the industry needs to parse up these problems and different players focus on their unique competencies and work together to facilitate the integration of a real industry. And there needs to be integrators to bring together those solutions to bring the final products to market. The size of the prize is so large I think there is room for lots of us to build effective businesses. One thing that has remained constant in the time that I’ve been here is this sense that we’re building something special and the algae industry has the opportunity to have a huge positive impact. We see Solix having a role in helping grow that industry. We’re really excited to be participants in it and contribute what we can to help it grow. I have a lot of fun at work. These are interesting and important problems that we are working to solve.